Now reading: Synthetic vs Mink Lashes - The Most Natural Looking False Eyelashes? Synthetic vs Mink Lashes - The Most Natural Looking False Eyelashes? Hey, beauties! With all of the different types of false lashes on the market, it can become a bit overwhelming when trying to narrow down on the differences and which one is right for you. Just what are mink lashes anyway? And how do they compare to synthetic lashes? Luckily for you, we’re going to break it down and explain the main differences between the two most common types of strip false lashes: Synthetic and Mink. We hope this helps you make the right decision to achieve your most beautiful eyes yet! The most common false eyelashes on the market are made from synthetic materials, typically plastic fibres, which look quite unnatural, as they are thicker than the typical human lashes, and also have stubbier ends. They can also be quite heavy and uncomfortable to wear due to the thicker and less malleable band. On the contrary, mink lashes are light-weight and comfortable to wear because the fibres are softer and lighter, and naturally carry a beautiful curl. With ESQIDO's mink lashes, we also use a handcrafted cotton band that is extremely flexible, offering unparalleled comfort and ease of application. Every strand of ESQIDO mink lashes are expertly crafted by hand to create a unique and natural effect that no machine or synthetic lashes can imitate. Each fur strand is ultra fine, with the ends tapered off, giving you lashes that are virtually indistinguishable from your own. An advantage that synthetic lashes have, is that they tend to be an inexpensive product, and are often sold for $10-$20 dollars at your local beauty retailer. They generally last for a single wear, or up to 3-4 wears. ESQIDO mink lashes on the other hand, can be worn up to 25 times with proper care, which often justifies the higher price point. Combined with the higher quality of materials and the beautiful styles, it's a smart investment in any lady's makeup bag. With 9 distinct styles, our collection offers a versatile range of natural looking false eyelashes. Synthetic lashes are the most common type of false eyelashes, which are made from plastic man-made fibers. The lashes tend to be a lot thicker in comparison to the natural human lash and are meant to be disposed of after a single use. Let’s start out with two of the most commonly asked questions, which are: How natural do false eyelashes look? Are they comfortable? The most common type of false lashes are made from synthetic materials, typically plastic fibers, which are mostly machine moulded, and meant to be disposable or single-use. Due to the construction and the materials, synthetic lashes tend to be a lot thicker than the typical human lashes and have stubbier ends, so there will be a stark contrast between your own natural lashes, and the synthetic lashes you apply. Since synthetic lashes are made from plastic, the band will be stiffer, and the overall weight will be more substantial, ultimately making them harder to apply (especially for novices), and offer minimal comfort. This is where mink lashes takes the cake when comparing the two. Mink hairs are naturally soft and fine, which create a very light-weight experience when wearing the lashes, with much lower sheen for a beautiful, natural look. 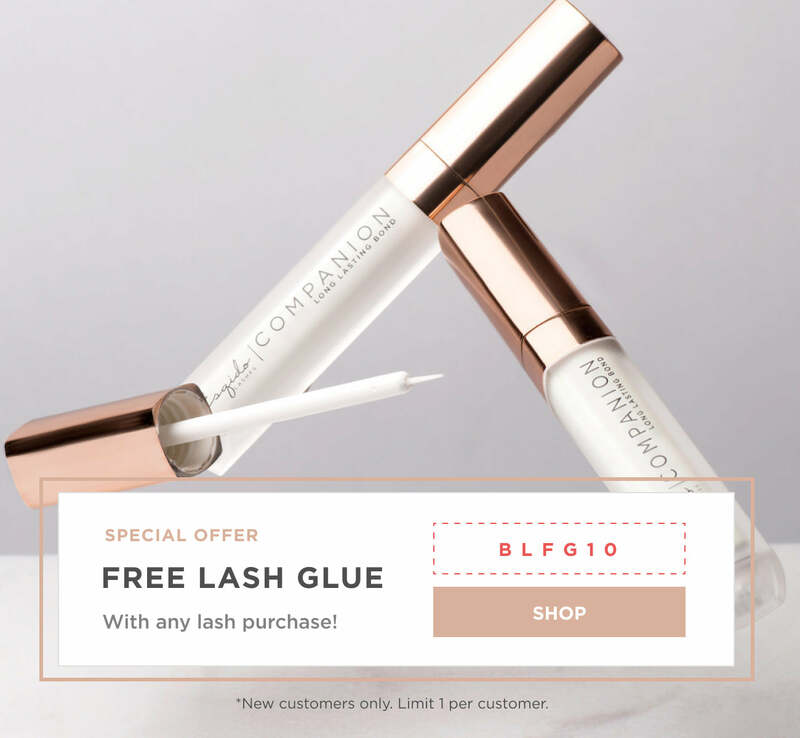 Since the lash strands are ultra-fine and tapered, they hold a beautiful curl, and they’re virtually indistinguishable from your natural lashes once applied. With Esqido mink lashes, we also use a handcrafted cotton band that is extremely flexible, which makes them super comfortable and easier to apply. Because of our unique production process and premium materials, our mink lashes can be worn many times! As they say, you get what you pay for. Depending on what you need the lashes for, you may want to consider the price differences which we will outline below! Since the materials being used to produce synthetic lashes are much cheaper, they are generally a more affordable option, ranging anywhere from $10 to $20 per pair, and are available in varying grades. Some of the pricier options tend to look a bit more natural, as the ends are slightly more tapered, however they are generally going look thicker than human lashes. While price is the main attraction, it’s worth figuring out your total costs if you’re going through more than one pair, since they’re not meant to be reused. I am sure you can guess by now that the Mink lashes are going to be a bit higher in terms of price point. The average cost for a pair of mink lashes is around US$30-35 per pair, and can be found at makeup/beauty specialty stores, department stores, and of course, on our website! It’s a higher price point as it’s a more premium product, however it can be seen as an investment, as you’ll be able to get multiple wears out of each pair. After considering the different quality & comfort levels, and price points, thinking about what you actually need them for will definitely help you decide between the two! Due to the lower price point and quality level, you may want to purchase synthetic lashes for that one casual night out! If you are curious in trying false lashes for the first time, they are a great starting point! Just keep in mind synthetic lashes have a plastic band, which is more finicky and harder to apply, so have patience! Practice, practice, practice! What better event to splurge on the best other than your big day? Whether it’s a wedding, or any other very special occasion, mink lashes are sure to take your look to the next level. On occasions such as these, you also won’t want to be feeling uncomfortable in any way, and you definitely want the best, and the most glamorous. Little did we know, that our mink lashes would’ve found its way to an unexpected audience; cancer patients and others suffering from alopecia; a form of hair loss. It’s our utmost honor to have helped some of these beautiful women rediscover their beauty, and their confidence, and we’re honored that they chose to wear our lashes to complete their look!. Now if someone were to ask you, "what are mink lashes ? ", you are basically a pro! Want to learn more? Check our our blog post, "How to Apply False Eyelashes", to learn just how easy they are to apply (with some practise of course! ).